The Right Reverend Paul Butler was enthroned as Bishop of Durham on Saturday, formally welcoming him to his new role. The service was held at Durham Cathedral, which he entered by passing through a guard of honour made up of young people from church schools in the diocese. 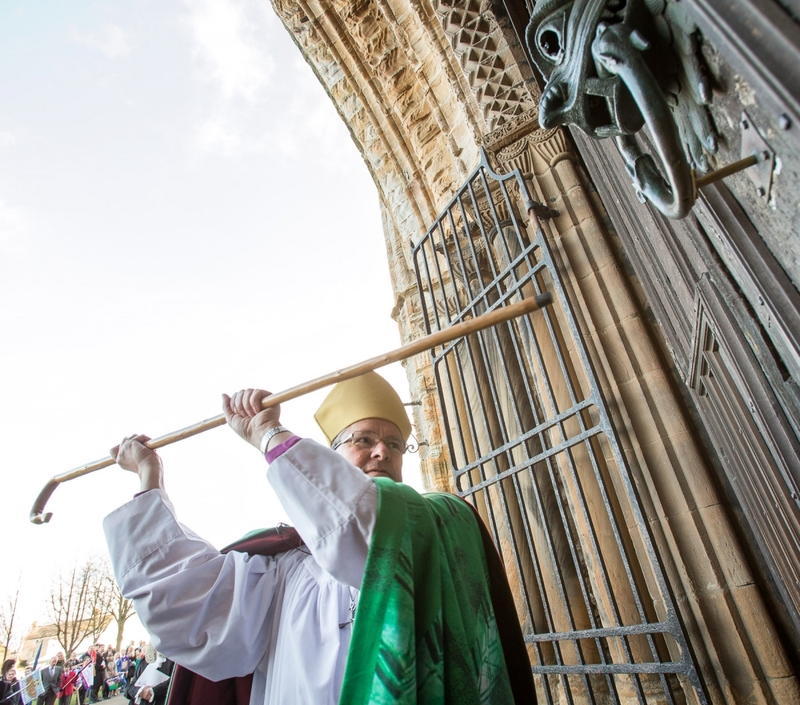 He then made the traditional three knocks on the door with his bishop's staff. The service was attended by representatives of different faith communities, civic dignitaries and overseas visitors. The focus of his inaugural sermon as bishop was the importance of growing the church and supporting the needy in society. He also spoke of his desire to see young people encouraged. Tying in with the theme of growth, members of the congregation were given packs of runner bean seeds. "Last September, when my appointment to this role was announced in this stunning Cathedral, I highlighted three priorities. These remain tackling poverty together, engaging with children and young people and growing the church. They interweave and intertwine in a way that it is not always possible to separate – rather like how beans grow together around a framework," he said. "Poverty, economic, social and spiritual, is a scourge, whether it is here in the North East, or in Lesotho, Burundi or Romania. It has to be confronted and tackled. But this has to be done by all sectors of society working together. The Church has a key part to play in this and we must play it to the full." He said children and young people had a "vital contribution" to make to society and to churches, and that they were not simply a part of the future but "part of all our present". "They must be listened to, encouraged and nurtured, protected appropriately and offered hope for their and all of our future," he said. He said every church needed to be engaging with children and young people, from the streets to schools and clubs. "The Church as agent of God's Kingdom should be growing – growing in our love for God, his world, his people. A healthily growing Church will be a Church that engages with its local community, seeking its welfare," he said. "We should expect growth. We do not plant seeds without expecting growth to happen. We know that not every seed will germinate and that some will be more fruitful than others, but we expect growth. "We know, too, this happens with proper care and nurture; if we want good growth then appropriate nurture is essential."